Suspension Connection carries a wide variety of handling products to improve towing, off-road and handling performance including shock absorbers, sway bars and ladder bars. Here at Suspension Connection we understand the need to have a vehicle that handles and performs well. We offer a large range of products that can help keep your truck, suv or car handling better than when if rolled off the dealerships floor. 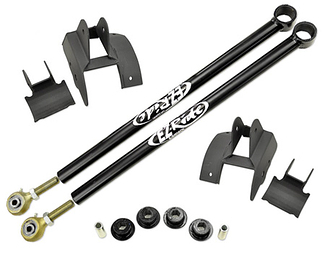 Starting with sway bars by Hellwig & ADDCO to help minimize the sway and improve stability. 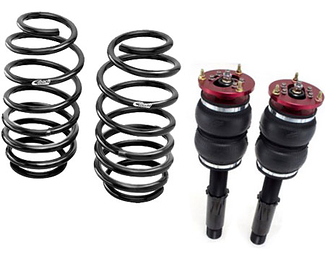 To suspension enhancement by Air Lift and Eibach. 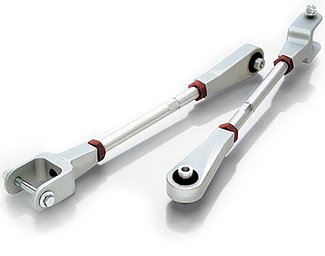 SWAY BARS: A very popular suspension add-on to quickly improve your handling is a anti-sway bar. These bars mount to either the front end, rear end or both of your vehicle. Once installed they will help to minimize the amount of side to side sway by the torsional effect of the bars. This will stabilize your vehicle for better performance when cornering. 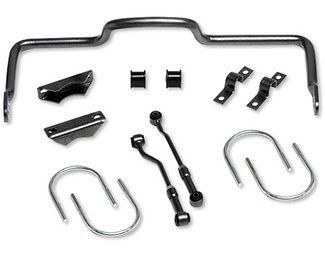 Trucks can see huge improvements in the handling when hauling a heavy or tall load by installing a set of sway bars. POLYURETHANE BUSHINGS: Who would think a small little bushing could affect the way a vehicle handles so much. But worn factory bushings can have a severe impact on the performance and handling of almost any vehicle. Depending on your vehicle this can range from strut arm bushings, control arm bushings, shackles bushings, the list goes on. 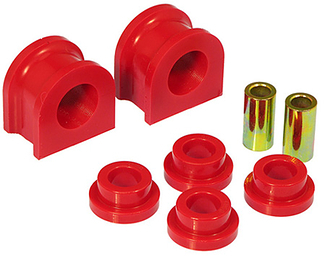 Most factory suspension bushings are constructed of rubber. This type of material can deteriorate quickly, especially when put to extreme conditions. Here is where polyurethane comes in. 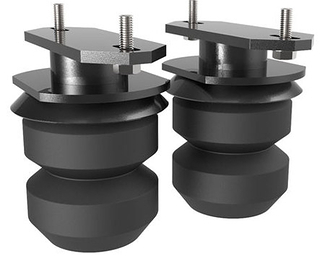 Poly bushings are much stronger than rubber bushings and will to last up to 3 times longer than standard bushings. 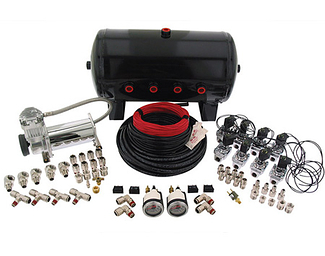 This can mean get performance improvements for most any truck, suv or car. PERFORMANCE SUSPENSION PRODUCTS: For those of us that love a car that hugs the ground as it zips around the corners as you climb up a canyon road, there are some great performance suspension enhancements to make your car handle even better. Eibach offers lowering springs, such as their, Pro-Kit and Sportline replacement coil springs to improve the way ride drives. 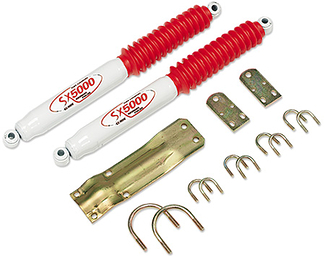 SHOCK ABSORBERS: The most common suspension enhancement for your suspension is easily upgraded shock absorbers. 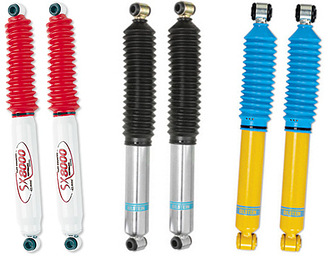 Worn shocks will greatly affect your handling and performance and can cause excessive vehicle bounce and tire wear. At Suspension Connection we sell premium brands like Bilstein, Eibach and Tuff Country. Each are valved for specific vehicles and driver needs. TRACTION & LADDER BARS: Large tires look great on a lifted truck, but can cause your rear axle some headaches. Many lifted trucks will experience axle wrap or hop when accelerating from a stop. If your truck feels like it hesitates when you accelerate, there is a good chance you are having axle wrap. Over time this can actually damage your leaf springs. Both ladder bars (mount below leaf springs) and traction bars (mount above leaf springs) can help to eliminate or greatly reduce the effects of axle wrap.